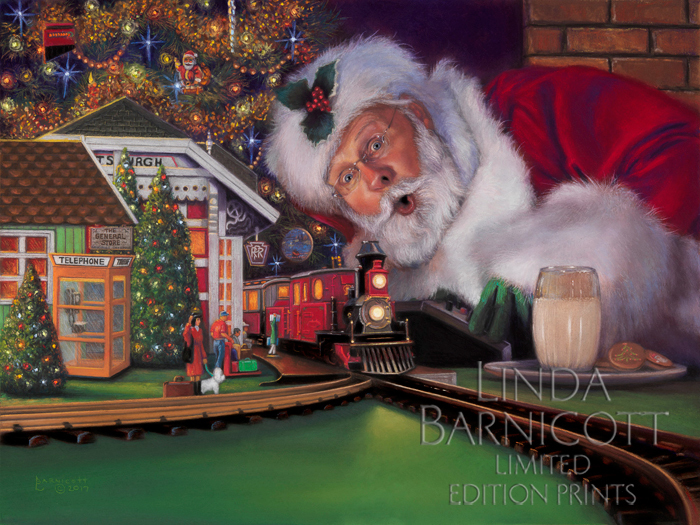 Delivering toys to all the children of the world can get very tiring at times, and sometimes even Santa needs a break. 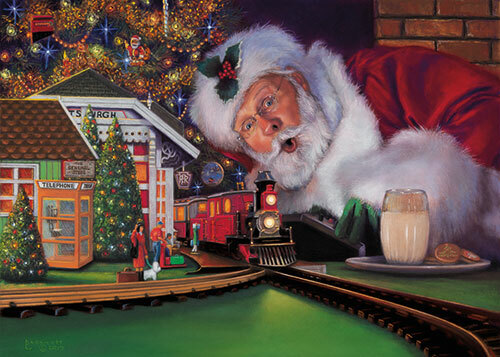 As he walks around the house he smiles as he spots milk and cookies and an old train set. 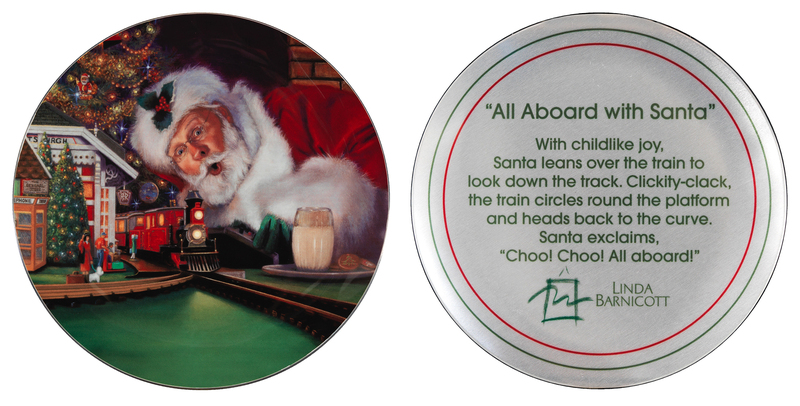 The next thing you know – the Jolly Old Elf himself is laying flat on his stomach. 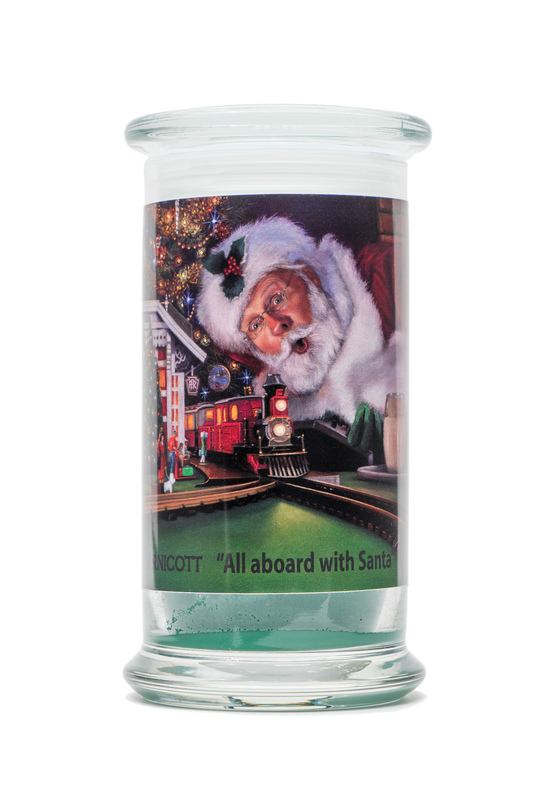 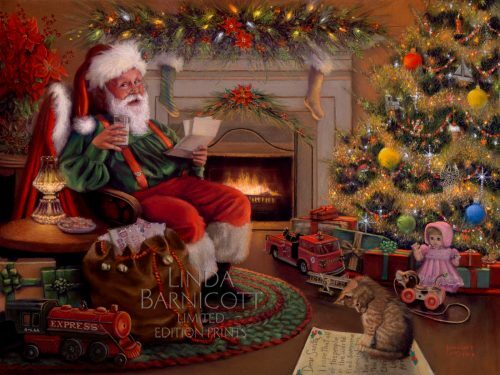 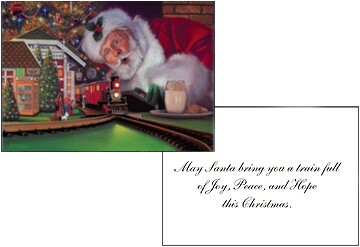 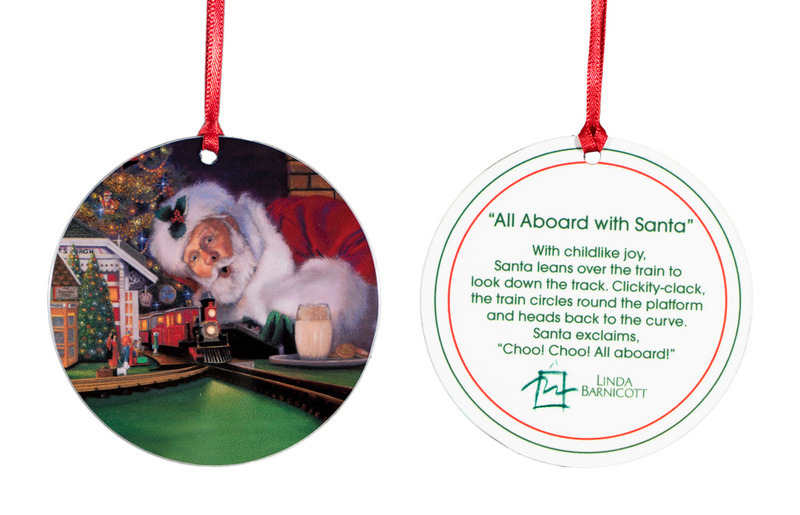 Categories: Collectables, Decorative Metal Plates, Holiday Items Tag: "All Aboard With Santa"